The Claire Beanie from Barts is perfect for those chilly nights around the campfire enjoying a hot cocoa with extra marshmallows. 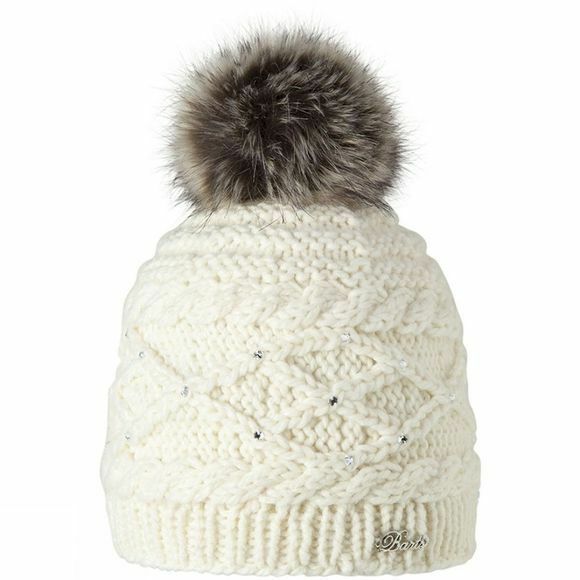 With its elegant diamante details and faux fur pom-pom, it is sure to be a stylish addition to your outfit. Dutch born and raised Bart Koene launched his brand Barts in 1992, starting with a summer collection of colourful bandanas. Shortly after, he went on to launch his first 3 beanies. That was when the brand really took off. Today, Barts specialises in clothing accessories, working with a talented team of designers from the Amsterdam based headquarters.